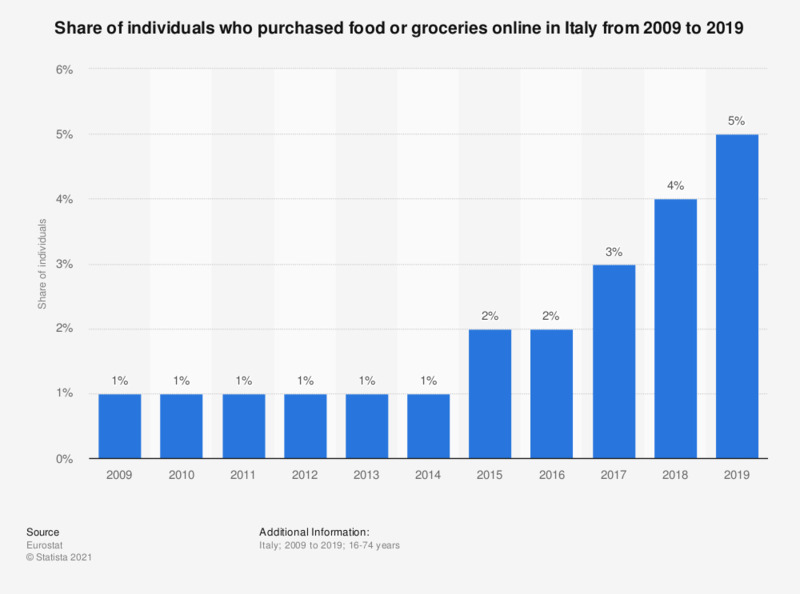 This statistic shows the share of individuals who purchased food or groceries online in Italy from 2009 to 2016. In 2016, two percent of individuals purchased groceries online in Italy. Data coverage corresponds to code I_BFOOD of INDIC_IS (Information Society Indicators).